Nebraska's Public Relations Student Society of America chapter took home 10 honors at the Paper Anvil Awards Jan. 23. Recent achievements for the campus community were earned by Pamela Bazis, Ryan Beranek, Sheila Cobb, Victoria Davis, Bob Diffendal, Kristin Duppong Hurley, Jennifer Farley, Joshua Frederick, Marc Goodrich, Michael Hebert, Claudia Holm, David Huismann, Jacqueline Huscroft-D’Angelo, Megan Jespersen, DeVanee Lasley, Britton Lyon, Jordan Redd, Julia Roehling, Mackenzie Savaiano, Maddi Smith, Travis Taylor, Anne Thomas, An Tran, Mallory Wallace, Megan Wynn, the Amore String Quartet and the university's student chapter of the Public Relations Student Society of America. Bob Diffendal, emeritus professor in the School of Natural Resources – Survey Division and curator of invertebrate paleontology with the University of Nebraska State Museum, received a Lifetime Achievement Award from Sun Yat-Sen University in Guangzhou, China. Diffendal has lectured at the university since 1985. Mallory Wallace, internship coordinator for career services, had an article published in the Dec. 25 edition of the Journal of Negotiation and Conflict Management Research. The article, which is an analysis of author demographics, scholarly content and article impact in the publication's first decade, will be included in the February 2019, Volume 12, Issue 1 edition of the journal. Sheila Cobb, Megan Jespersen, Joshua Frederick and David Huismann, all students in the College of Architecture, are part of a Husker team that advanced to the final round of the Big Ten Student Design Challenge. The contest allows students to remake a space on campus for a chance to win a fully-funded redesign this summer. Nebraska's team will travel to Grand Rapids, Michigan, in February to pitch final proposals. Three teams advanced to the finals. 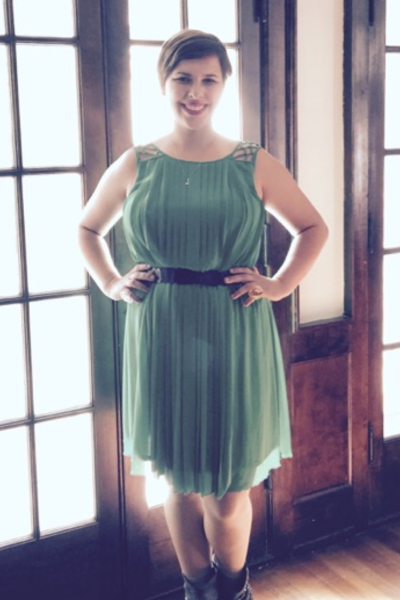 Maddi Smith, a communication studies major, will present a paper she wrote for her Gender and Communication (COMM 380) course, "Film and the Portrayal of Women," at Nebraska's No Limits Conference March 8. The conference is sponsored by the College of Arts and Sciences Women's and Gender Studies program. Victoria Davis, DeVanee Lasley, Britton Lyon and Megan Wynn, all of Campus Recreation, will receive the William N. Wasson Student Leadership and Academic Award at the National Intramural-Recreational Sports Association annual conference Feb. 16 through Feb.19 in Boston. The award recognizes outstanding undergraduate students who are active participants and employees in collegiate recreational sports departments. Nebraska leads the nation with 85 recipients since the award’s inception in 1993. Nebraska's Public Relations Student Society of America chapter attended the Paper Anvil Awards on Jan. 23 and received 10 honors for their public relations work in 2018. Along with winning Best of Show, the team took home six Awards of Excellence for their projects involving Huskers Helping Huskers Pantry+, organ donation and cancer awareness. The organization's new faculty adviser Jemalyn Griffin, along with faculty members Sheri Sallee and Bryan Wang, were also in attendance. 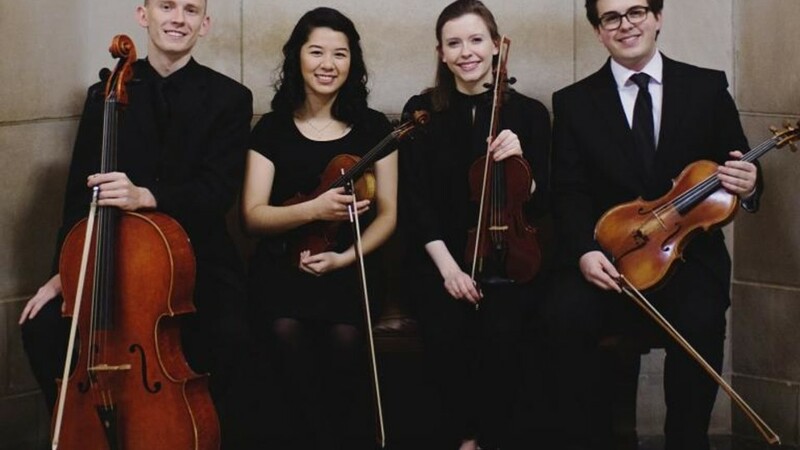 The Glenn Korff School of Music's Amore String Quartet was awarded first place in the West Central Division Music Teachers National Association Competition Chamber Music String category. Composed of undergraduates Claudia Holm, An Tran, Travis Taylor and Riley Beranek, the group will represent Nebraska at the association's national conference in March. 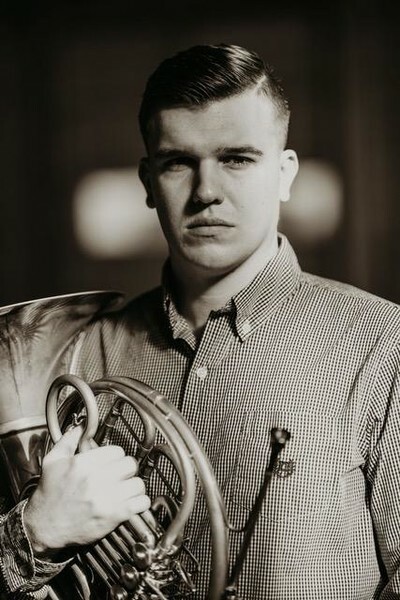 Jordan Redd, a graduate student in music, was awarded first place in the Young Artist Performance category for his horn solo at the West Central Division Music Teachers National Association Competition. The regional win allows Redd to perform at the association's national conference in March. Nine individuals from Nebraska's Department of Special Education and Communication Disorders presented at the annual Council for Exceptional Children Special Education Convention and Expo Jan. 29 through Feb. 2 in Indianapolis. The faculty and student attendees included Kristin Duppong Hurley, Jacqueline Huscroft-D’Angelo, Jennifer Farley, Pamela Bazis, Marc Goodrich, Michael Hebert, Julia Roehling, Mackenzie Savaiano and Anne Thomas. This column is a regular feature of Nebraska Today. Faculty, staff and students can submit achievements to be considered for this column via email to achievements@unl.edu. For more information, call 402-472-8515.